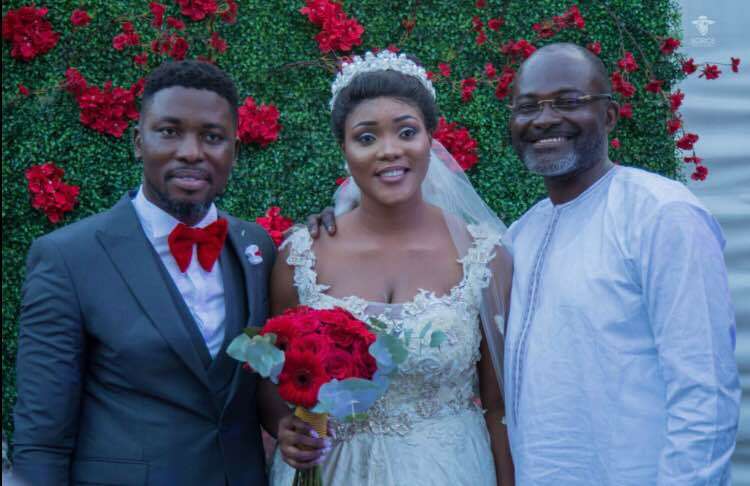 It was one of the most talked about events from last weekend and now we have official photos from A Plus’ white wedding to fashionista, Akosua Vee, last Saturday. Compered by veteran broadcaster Doreen Andoh, the classy event was attended by the likes of Hon. Kennedy Agyapong, Deputy Director of MASLOC, Afia Akoto, Joslyn Dumas, Fred Nuamah and John Dumelo, musicians Nana Boroo, Reggie and Bollie and Zeal of VVIP, Doreen Andoh, Steven Appiah among others.